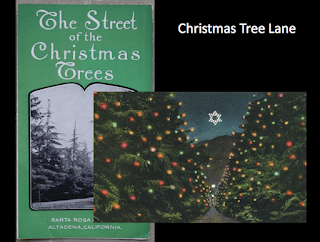 In 1940, when Mary Pickford was to be featured in a broadcast starring Christmas Tree Lane, she made a mistake when addressing the Los Angeles Chamber of Commerce. 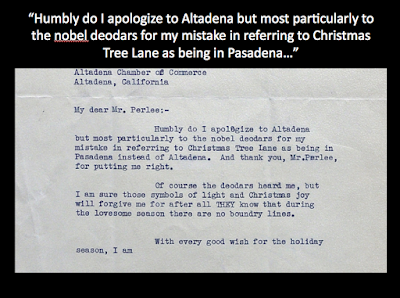 She said Christmas Tree Lane was in Pasadena. The actress promptly apologized, and with everyone's ruffled feathers smoothed, the broadcast went as scheduled. 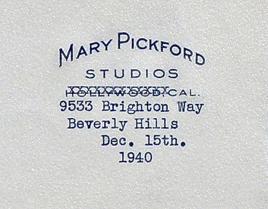 Even star of the big screen Mary Pickford couldn't get away with mistaking Altadena for Pasadena. Some things never change. 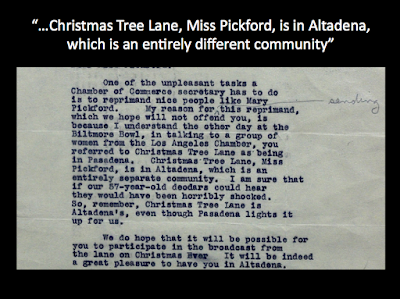 The Pickford letters are in the AHS archives. Our collection includes many thousands of documents. Come by and visit. 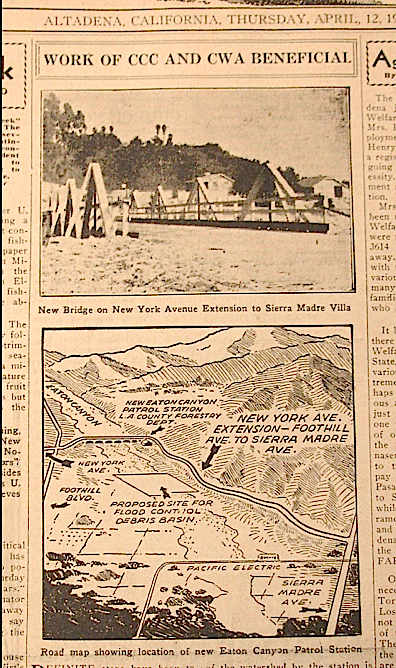 The Eaton Canyon Bridge was built after the devastating 1934 flood that nearly wiped out Montrose and La Crescenta. 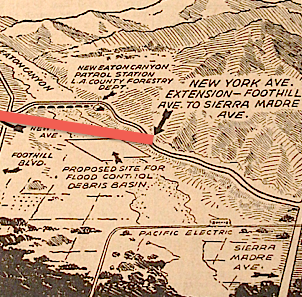 The state-of-the-art metal structure connected Altadena to Sierra Madre via old New York Ave. and Sierra Madre Villa Rd. But the 1934 structure was washed away in an even bigger flood in 1969. That was the flood that took out the El Dorado Inn. After that phenomenal rain, the county rebuilt New York Ave. with a concrete bridge. This is the roadway that exists today. "Definite steps have been taken in the foothills area to guard against a recurrence of the terrible fire and flood disaster in La Crescenta and Montrose of several months ago. Among those steps taken … is the establishment of a sub-station of the Arroyo Seco division, County Forestry Department. This substation is located at the mouth of Eaton Canyon on the new extension of New York Avenue from Foothill Blvd. to Sierra Madre Villa. The many fire houses in Altadena and Sierra Madre are given adequate protection by this department which has a 600 gallon tank fire engine. This service is in addition to the new patrol station's real purpose which is the protection to valuable watershed in the nearby mountains. The protection of the watershed by the station is very necessary, according to forestry official. The recently completed road extension from Foothill Boulevard to Sierra Madre and the new bridge which crosses Eaton Wash are two of the things which make the new substation most effective." This 1934 map shows New York, the new bridge, and the L. A. County Forestry building. We added the red line to show where New York Ave. runs today. The old bridge and old road are gone, but the County Forestry substation, a modest arroyo-stone shingle-style cabin-like structure, is still operating. It's located on the east side of Eaton Canyon wash. You can still see remnants of the old bridge and road if you climb down into the wash directly east of the Eaton Canyon Nature Center.